This is the perfect solution for decorating your surface area in a room but the important thing is to be decorating your room in a perfect manner is a deferent thing. If your home interior is modern then modern design carpets are the best flooring decorating solution. Contemporary word is always used for a modern style. If you want to give a modern look then prefer to buy a rug which contains contemporary style. Now find how to make a contemporary rug or what design pattern it contains? 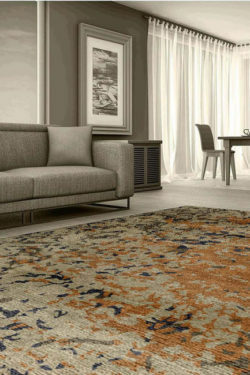 Material of a contemporary carpet: – The contemporary rug is a part of modern category and it is woven in the finest quality of wool and sometimes in cotton material. The warp is in cotton as well as in pure wool and weft is in wool. Wool is the best material for handmade carpets because it is less expensive as compared to silk and it has some features to hide the stain and hair. This is very suitable for those who have kids and pets. Less design pattern: –Most of the people like less design pattern in a modern home. So this type of carpets contains very less color combination with contemporary design pattern. Due to less and simple design pattern, this is easily matched with any type of furniture. Soft and cozy touch: – Contemporary area rugs are made in pure New Zealand wool and that’s why it provides soft and cozy touch to your room. You will feel awesome when you walk, sit, or laying on it. It gives warmth and rich look to your room. 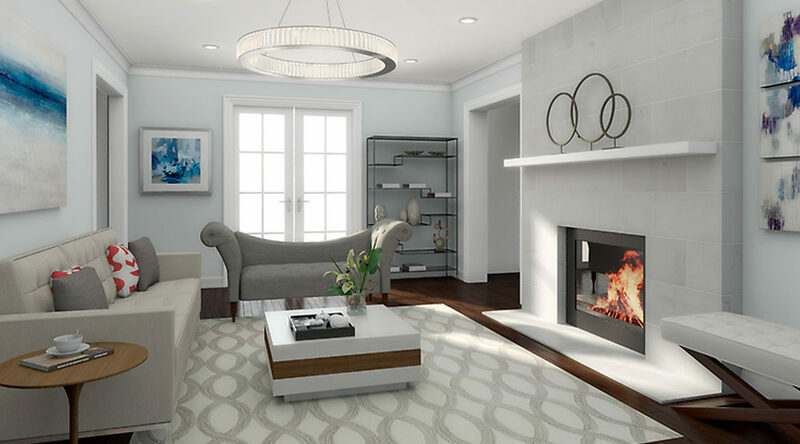 You can also find contemporary rug in hand tufted with is made with backing support. That’s why this is thick and cozy. Highly Durable: – Contemporary rugs are sometime handknotted and some of them hand-tufted. Due to knots (combination of warp and weft), these are highly durable. You can use it 30 to 70 year without any manufacturing complaints. 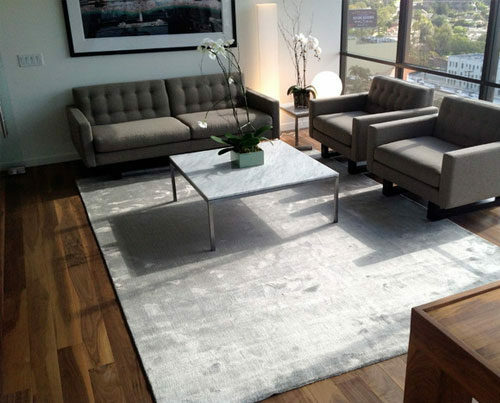 Handtufted area rug is less durable than a handknotted carpet. Select design and color combination: – When you are going to buy a new contemporary carpet then always buy a perfect color matching rug. You can take light colors carpet like a cream color, ivory color, and white color light pink etc. with dark color furniture. 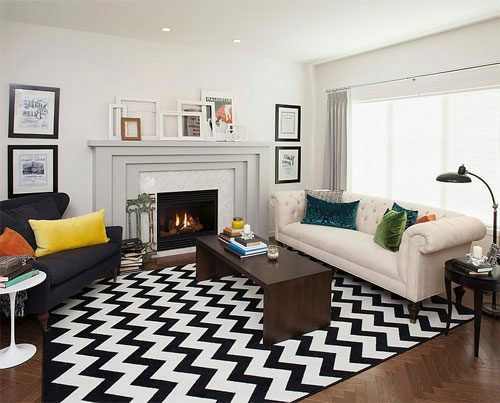 If you have plain colored furniture, you can take stripe design, Ikat and contemporary design for a contemporary look. Create a perfect Decoration: After buying a contemporary rug for your home then you can starting decorating your home. Move your furniture and rearrange it. Place your carpet on the floor and add some contemporary paintings on the wall. When you use curtains or other decorative accessories then always select familiar color according to the carpet and furniture. Copper chandelier is best for a contemporary look. So take simple copper chandelier instead of traditional chandelier. It is also cheaper than a traditional chandelier. 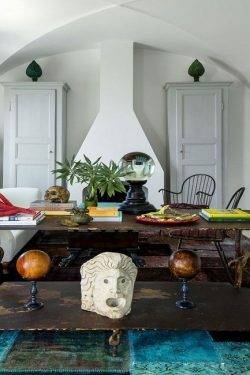 So follow those ideas for creating a contemporary look to your décor. 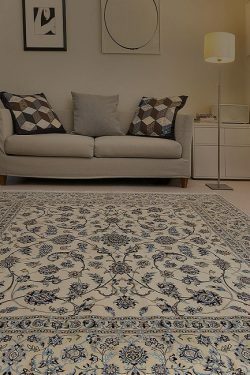 But contemporary rugs online from Yak Carpet.